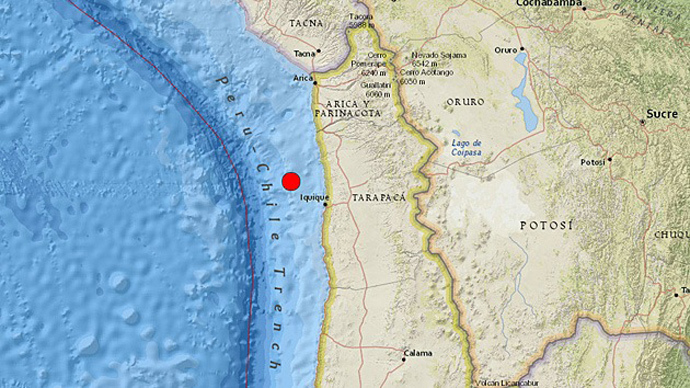 A magnitude 7.0 earthquake has hit the Pacific coast of Chile, the US Geological Survey said. As a preventive measure, Chilean authorities have ordered a partial evacuation of the northern coastline. The epicentre of the quake was located 70 km northwest of Iquique in northern Chile, at a depth of 32 km, the US Geological Survey said. No injuries or damage have been reported so far. The National Office of Emergency of the Interior Ministry has ordered an evacuation of the coastline between the northern towns of Arica and Tocopilla, over the fears of a possible minor tsunami. 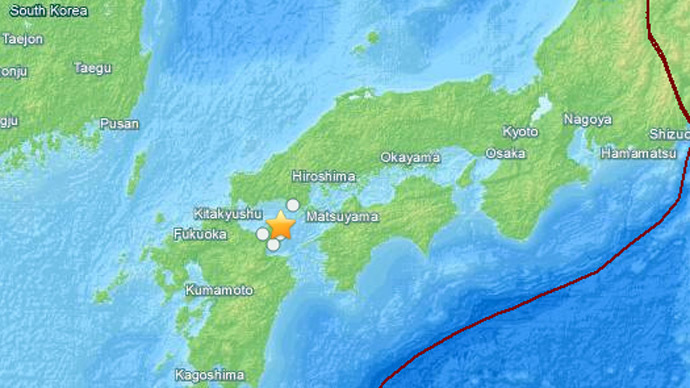 The Pacific Tsunami Warning Center however said there was no tsunami expected. About 80,000 people were evacuated in the Tarapaca region, 3,000 in Arica and Parinacota region and 22,000 in Antofagasta region, said ONEMI's national director, Ricardo Toro, adding that the sea had risen by almost 13 inches. 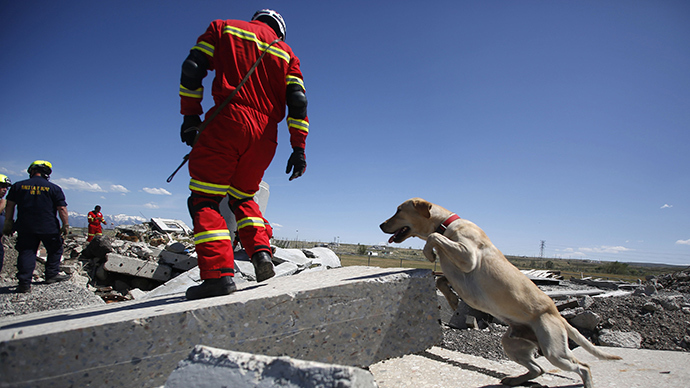 The evacuation alert was lifted several hours after the initial quake. 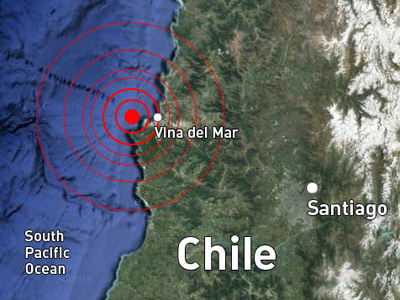 Chile is located in an area of geological instability and is prone to powerful earthquakes. A major 8.8 magnitude quake hit the country back in 2010, devastating the center of the country and claiming over 500 lives.